A small laptop for access to the Internet. Initially, the browser was the most simple program, which simply read simple documents from the Internet. Today, the browser has become the most important program to computer. It should be fast, convenient, and functional. He is an intermediary between programs on the Internet and a computer. This browser determines whether the pages of the site written in one or another programming language are dynamic or just a page fault. create documents yourself, only for yourself or open access to them for a certain group of people, or for everyone. These documents can be done alone or together. you can upload photos and edit them. all this can be stored on the Internet. open source, which allows programmers to customize the browser for themselves, plus participate in creating the world's best browser. 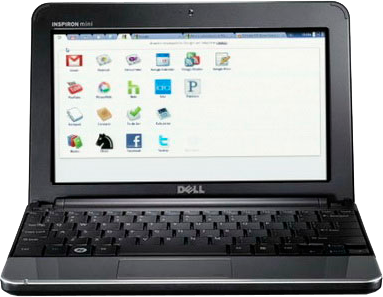 While there is one such OS - Chrome OS, created based on the browser Google Chrome. If you already have a computer, you can use it. First of all, there is no sense from all the proposed, if you have a weak speed of the Internet. So, first of all - high-speed Internet, with a speed preferably at least 2 mb/sec. You can have just a netbook, because you do not need a powerful computer for such an operating system. I also recommend buying a large widescreen monitor, ex. 23 ".This will be more convenient to watch video, because the netbook has a very small monitor.The netbook is small and light, which is convenient for mobility. At a minimum you can buy a USB flash drive for 4 Gb and periodically use other computers (or try Google OS without changing anything).